Reigning F4 US champion Kyle Kirkwood will join the Mazda Road to Indy with multi-time and reigning USF2000 champions Cape Motorsports. In 2017, Cape Motorsports ran 19-year-old Kirkwood to the US F4 title and has now brought him over to the MRTI to try and extend the team’s run of USF2000 titles to eight. “We started this journey with Kyle over a year ago, with the objective to win the F4 Championship in 2017 – job cracked,” said Nicholas Cape. “Then, the plan going forward was to move Kyle into USF2000 for 2018 and challenge for the championship. Kirkwood, a two-time Team USA qualifier for the Rotax Grand Finals in karting, has also been a winner at the prestigious Superkarts! USA SuperNationals in Las Vegas. 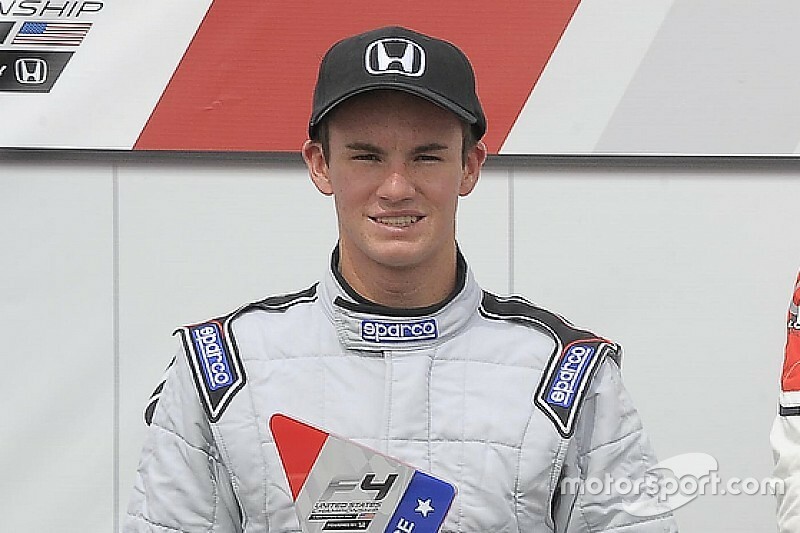 In 2016, he and Oliver Askew – Cape’s latest USF2000 champion – were the Team USA Scholarship winners. Last year, Kirkwood dominated the F4 US Championship, winning nine of the 20 races with Cape Motorsports and more than doubling the point total of the series runner-up. He said: “It’s truly an honor to join with Cape Motorsports for the second year around. We had such a great 2017 season and to be able to keep that momentum rolling is awesome.